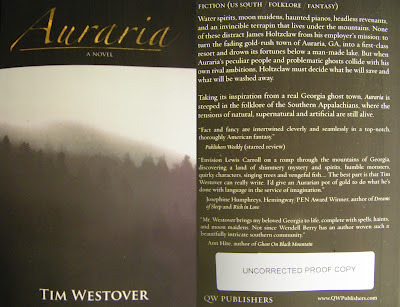 Look what arrived in the mail today: Tim Westover's Auraria. I won a copy of this book from Goodreads First Reads.I love stories about ghosts and folklore. Plus, this is being billed as Appalachian Lit, so. Yeah, this is right up my alley! Water spirits, moon maidens, haunted pianos, headless revenants, and an invincible terrapin that lives under the mountains. 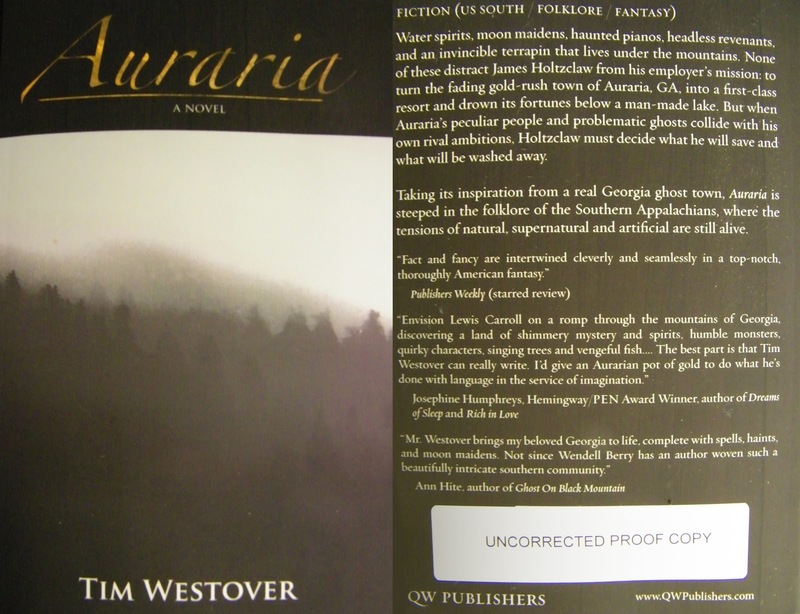 None of these distract James Holtzclaw from his employer’s mission: to turn the fading gold-rush town of Auraria, GA, into a first-class resort and drown its fortunes below a man-made lake. But when Auraria’s peculiar people and problematic ghosts collide with his own rival ambitions, Holtzclaw must decide what he will save and what will be washed away. Taking its inspiration from a real Georgia ghost town, Auraria is steeped in the folklore of the Southern Appalachians, where the tensions of natural, supernatural and artificial are still alive. Auraria is available for purchase at Barnes and Noble and Amazon.